Mark L. DeMulder is the Acting Chief Scientist for Geography in the U.S. Geological Survey (USGS). He is based in the USGS Headquarters in Reston , Virginia . The USGS serves the Department of the Interior and the Nation as an independent science agency that collects, monitors, analyzes, and provides scientific understanding about natural resource conditions, issues, and problems. The USGS is also the Nation’s civilian mapping agency and provides topographic maps and digital spatial data, geographic research and applications, and land remote sensing information to the United States and its Trust Territories . Prior to this assignment, Mr. DeMulder served as the Program Coordinator for the Cooperative Topographic Mapping Program. 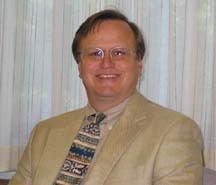 Mr. DeMulder received a Master of Science Degree from George Mason University , and a Bachelor or Arts Degree from the University of Connecticut , both in Geography. He is also a graduate of the Harvard University Senior Executive Fellows program and the Office of Personnel Management’s Federal Executive Institute. Prior to joining the USGS, he served 8 years as an active duty Air Force Officer and also worked as a civilian for the U.S. Army Intelligence Agency.